Sugar and Spice are two cats that found new homes through our Feral to Friendly program. 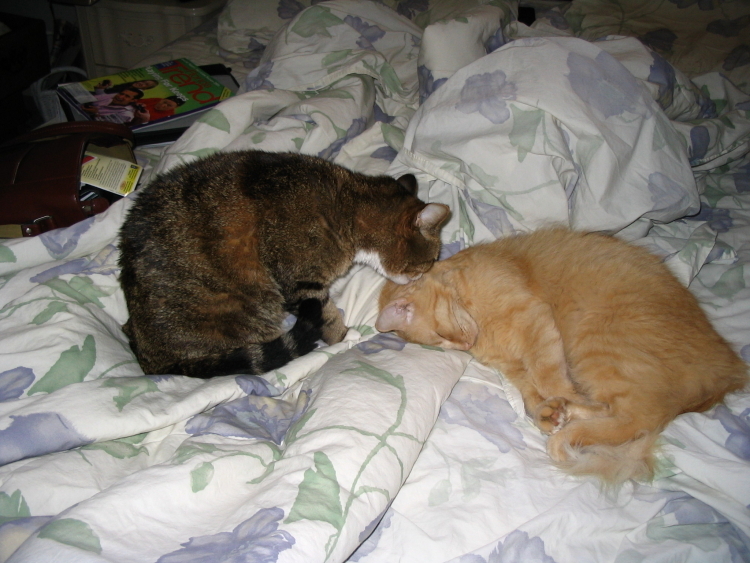 Both kittens were relocated from a feral colony, and then tamed and placed for adoption. We now offer low-cost feral cat colony trapping, spaying/neutering, and ear notching/release. We also tame kittens that are up to six-months old and place them for adoption. If you have a colony you are currently helping, please call us, and we will dispatch our team to contain the colony to its current number of cats, preventing anymore from being born into fear. If you would like to donate to this cause, please visit our donation page and specify this cause. 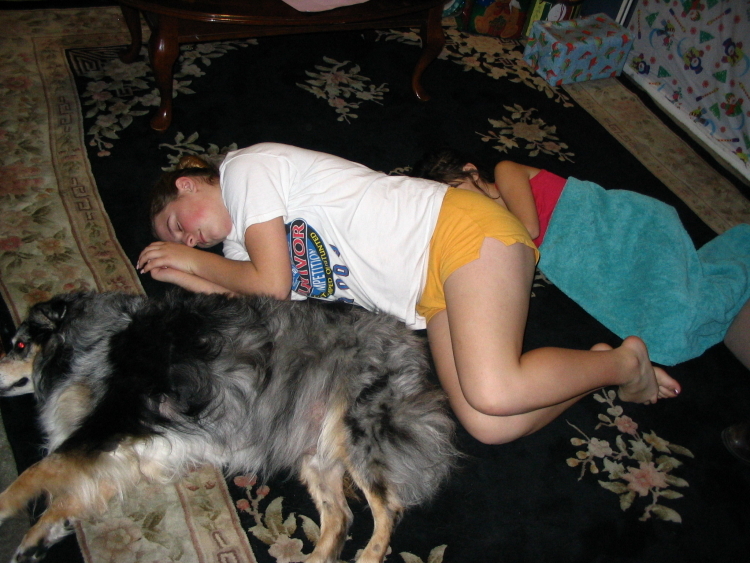 "This is Ramsey a Australian Shepherd with two of his favorite girls napping on the floor. Thank you AHH HHA for an amazing dog, we love him." This is Nikko! He is a 7 year old Shipperke who has had a rough life in those short years. He was a puppy mill rescue. He was adopted by an elderly woman and was very happy there until she passed away. His next home was good but didn't last. He has finally been placed in his forever home by AHH HHA! 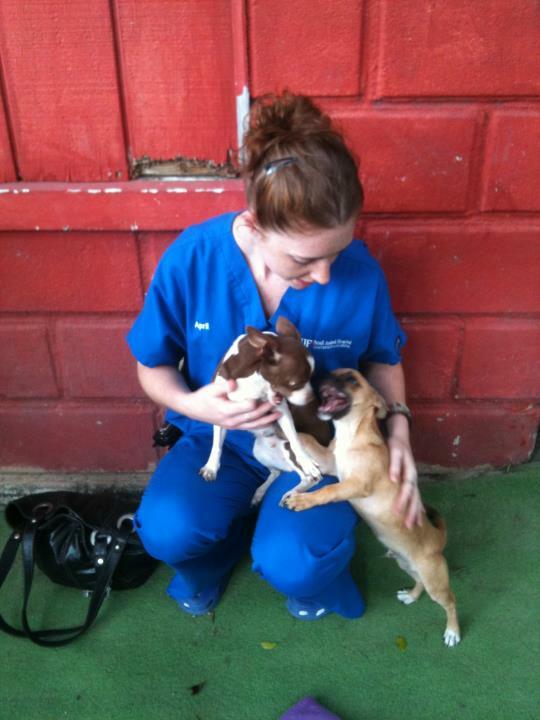 Abby had a severe heart problem, and April, a veterinarian assistant at the University of Florida's cardiology department, adopted her and is caring for her heart needs. By no coincidence did April find Abby. UF veterinary student Loren Goldstein, who is a fosterer and Dogs Rule daycare client, told April about this little angel Abby :) We are so grateful for both April and Loren.